On April 16th GLASS written and directed by M. Night Shyamalan will be releasing to Ultra HD Blu-ray, Blu-ray, DVD and currently on Digital HD. Target will have the exclusive for the Blu-ray Combo Pack SteelBook with art designed for the case by famed comic artist Alex Ross. 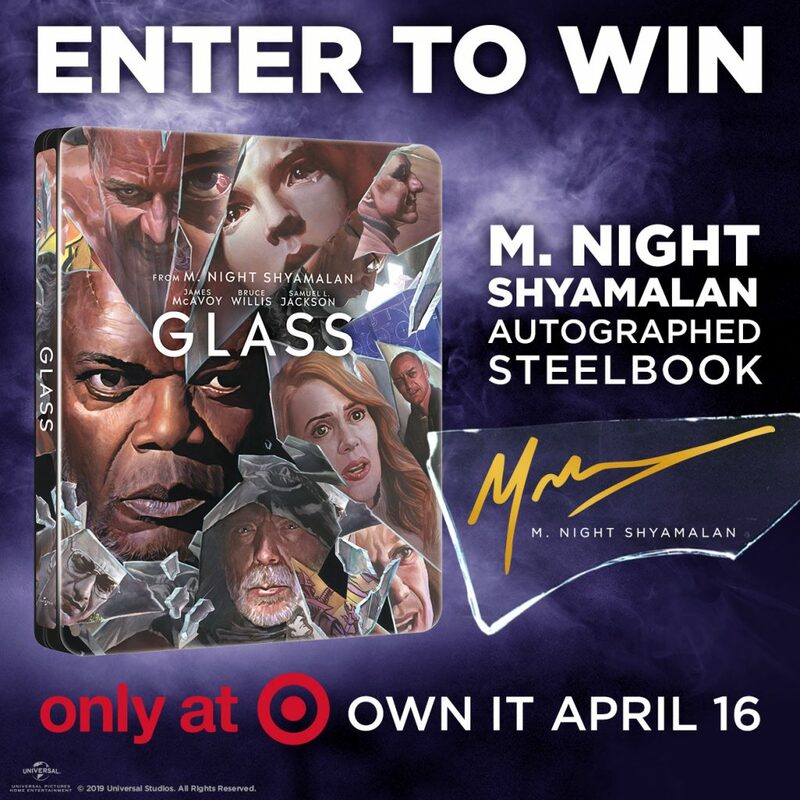 However you’ve got a chance to win a signed copy through a giveaway happening right now of the SteelBook Edition autographed by the creative genius himself, M. Night Shyamalan! Additionally the link for the Target listing is here below. So if luck doesn’t roll your way, be sure to get this beautiful SteelBook online or in stores on April 16th. The trailer for M. Night Shyamalan's GLASS is here, check it out!